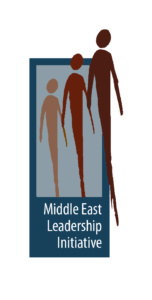 The Middle East Leadership Initiative (MELI) – a collaborative venture between the Aspen Institute and a consortium of leading regional sponsors – seeks to develop a new generation of community-spirited leaders in the Middle East. Using the time-tested Institute method of text-based dialogue and building upon the Institute’s commitment to values-based, action-oriented leadership, the program will provide the tools and perspectives necessary for effective, enlightened leadership in business, government and the nonprofit sector – and in society at-large. The Middle East Leadership Initiative is made possible by the generous support of the Saudi Telecom Company, Booz & Co and the Danny Kaye and Sylvia Fine Kaye Foundation. MELI Fellows join more than 2,500 other Fellows from over 50 countries as part of the Aspen Global Leadership Network (AGLN).